Air revolver Crosman 3576W 4.5 mm.Out of stock! 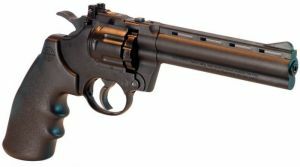 Air revolver Crosman 3576W 4.5 mm. Air revolver Crosman mod. 3576W 4.5 mm is 10-charge, semiautomatic, single or double action.